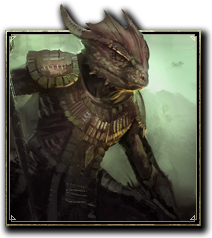 The racial skills of the Argonians reflect their people's perilous swamp environment, giving them bonuses to healing, healing received, restoration staves, poison resistance, potion use, swimming speed, health and magicka. Amphibian 1 ​ Increases your experience gain with the Restoration Staff skill line by 15%. Increases your swimming speed by 50%. Life Mender 5 Increases your healing done by 1%. 15 Increases your healing done by 3%. 30 Increases your healing done by 6%. Argonian Resistance 10 Increases your Max Health by 333 and Disease Resistance by 660. Gain immunity to the Diseased status effect. 20 Increases your Max Health by 666 and Disease Resistance by 1320. Gain immunity to the Diseased status effect. 40 Increases your Max Health by 1000 and Disease Resistance by 2310. Gain immunity to the Diseased status effect. Resourceful 25 Increases your Max Magicka by 333. When you drink a potion, you restore 1200 Health, Magicka, and Stamina. 50 Increases your Max Magicka by 1000. When you drink a potion, you restore 4000 Health, Magicka, and Stamina. This page was last modified on 2 March 2019, at 15:29.